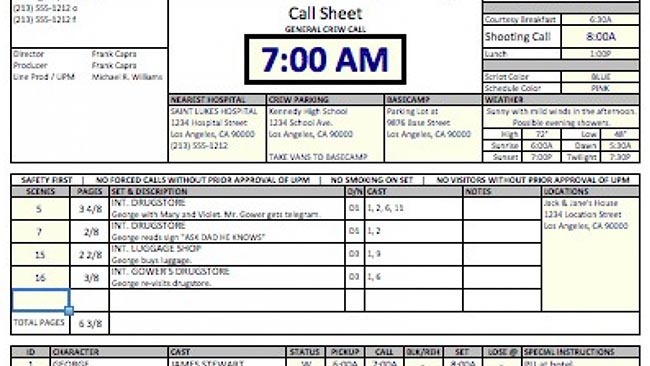 A Callsheet is a document that is provided to every crew member for every day of production that they engage in. The Callsheet provides basic information such as the production company, the location or studio and the nearest hospital. Each crew member and their names and contact info is also listed as well as the shooting schedule for the day and some details for what the day of production will encompass. Budget is the total cost for all aspects of film making. Schedule is the break-down of timing of event planned to be produced within hourly or daily time periods of the production.